Overview map of the planned project. Click on image for a larger view. 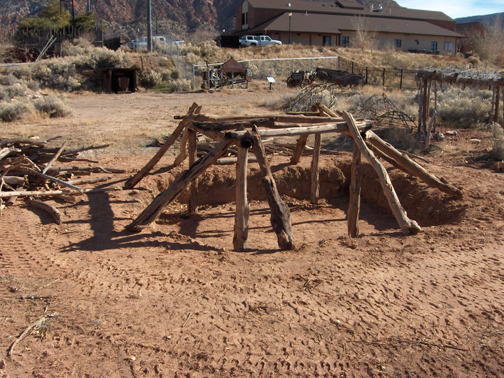 Beginning the excavation for the replica Fremont pithouse. John has just finished setting the main supports for the structure. John explains construction of the walls using smaller materials. The completed Pithouse is ready for visitors! There are flowers and many native pants flourishing in the Native Heritage exhibit and the interpretative signs are on their way. 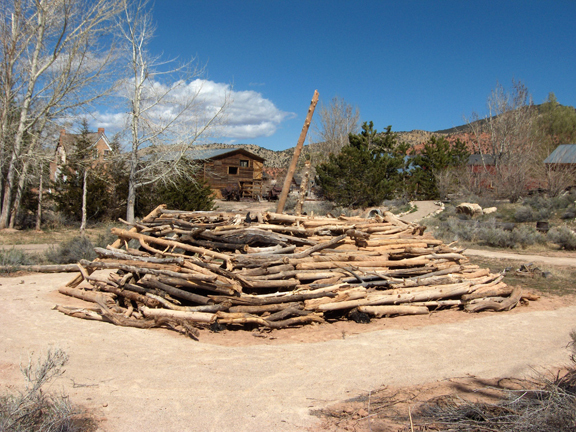 A fire pit has been added to the Native Heritage Exhibit courtesy of an Eagle Scout Project. 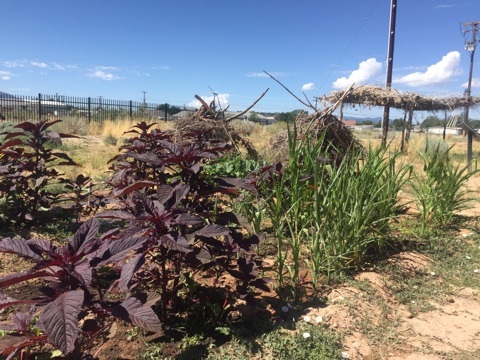 The Native Heritage Garden has been planted by anthropology students from Southern Utah University.